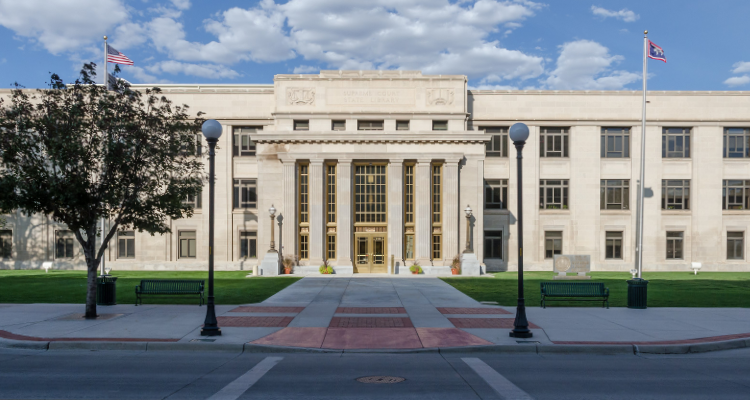 LARAMIE, WY. 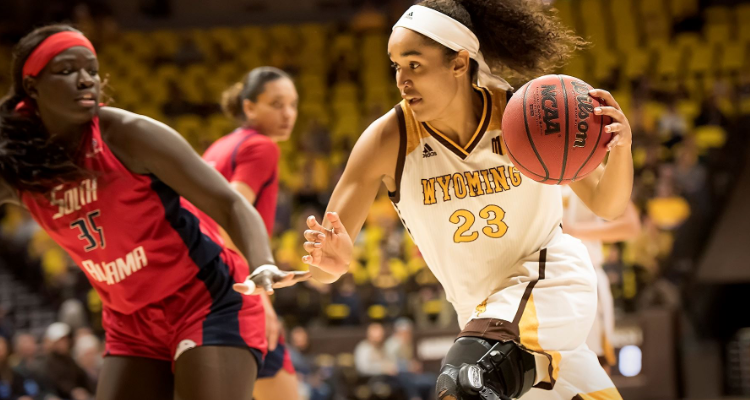 – The Wyoming Cowgirls came out energized in the third quarter against South Alabama (25-11, 9-9 Sun Belt), and erased a halftime deficit and claim a 78-71 win in the second round of the WNIT. 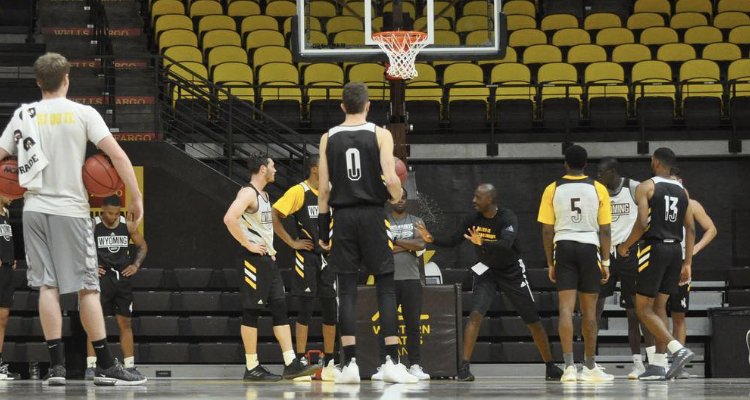 Wyoming (24-8, 13-5 MW) will host the winner of Saint Mary’s and Pepperdine on Thursday, March 28 at 6:30 p.m.
Erjavec kicked off the game with a three from the right wing, and a free throw put South Alabama on the board. Cotton scored six points in a row for the Cowgirls, and UW held a 9-5 lead at the 6:10 mark of the first quarter. After a defensive stop, Erjavec scored in transition and forced a Jaguar timeout as USA trailed 11-5 with 5:35 to play in the opening frame. The teams matched each other point-for-point, and a Weidemann three made it 18-12 before the Jaguars scored at the buzzer, making it 18-14. Gomez scored in the post to start the second quarter, but the Jaguars rattled off 11 straight points to take a 25-20 lead at the 8:34 mark. Senior Rachelle Tucker ended the run with a free throw, and after a Cowgirl layup, the Jaguars made a pair of threes, pushing their lead to 31-23 with 4:24 to play in the first half. A three by senior Sladjana Rakovic made it a four-point game, 32-28 at the 3:09 mark. Erjavec drove the lane for the final points of the half, and Wyoming trailed, 35-33, after 20 minutes of play. Gomez opened the second half with at three right in front of the Cowgirl bench to retake the lead, 36-35, but the Jaguars answered with a three of their own. A Rusk layup preserved Wyoming’s lead, 41-40, and a Gomez driving floater made it 43-42 in a back-and-forth early third quarter. Out of the media timeout, Erjavec converted an old-fashioned three-point play to push the Cowgirls’ lead to 48-42. Erjavec added a pair of free throws to end the third quarter where the Cowgirls outscored USA 22-13 to take a 55-48 lead into the final 10 minutes. The Jaguars scored the first six points of the quarter, but Gomez ended their run with a long two, making it 57-54 at the 5:33 mark. Cotton added a layup before Gomez scored from the baseline to force a South Alabama timeout with UW leading 61-54 with 3:50 to play. Gomez capped Wyoming’s 9-0 run with an and-one play before the Jaguars scored a layup at the 3:14 mark. The Jaguars cut the lead to five points after a long jumper made it 66-61 with 1:50 to play, but Cotton found Gomez under the basket for an easy layup. With 44 seconds to play, Weidemann drained a three, putting the Cowgirls up 71-63. On the next possession, Rusk grabbed a steal and added a free throw. The Jaguars then banked in a three and fouled Gomez, who made both her shots. South Alabama scored a quick layup with 22 seconds to play, but Gomez again made both her free throws after being fouled. Shaforia Kines made another three for South Alabama, and then Weidemann stepped up to the free throw line and made both, ending the game with a 78-71 Cowgirl win. The Cowgirls will face Pepperdine in the third round of the WNIT. That game will be on Thursday, March 28, at 6:30 p.m. (MT) in the Arena-Auditorium here in Laramie.